One of the best things about Dallas is the overwhelming sense of community that defines the city and its many underlying neighborhoods. The folks who live here are a unique breed, and nothing brings people together to celebrate that sense of community better than a good old traditional farmers market. There’s just something about enjoying a leisurely stroll, taking in the sights and smells of fresh food and just getting a chance to rub elbows with other locals. Whether you’re looking for ideas on where to buy the ingredients for your next home-cooked meal or you’re simply in the mood to do a little people watching this weekend, here’s a rundown of all the best markets to explore in the DFW area, brought to you by Dallas New in Town. We suppose we should start with the most infamous market in the Dallas area. This place is the Mack Daddy of farmers markets, featuring 26,000 square feet and vendors selling everything from local specialty foods to artisanal treats. There are also four anchor restaurants and ample seating, both inside and out, and the location affords an ideal view of the Dallas skyline. The Shed portion of the Dallas Farmers Market is an open air pavilion featuring vendors that grow, raise, make and produce the food they sell. There’s an awesome mix of farmers with seasonal produce, ranchers offering naturally raised meats, cheese, eggs, and honey, and food artisans that make breads, canned and regional/international foods. There are even a few arts and crafts vendors from time to time. Shed hours are Fridays – 10am to 5pm, Saturdays – 8am to 5pm and Sundays – 10am to 5pm. Check it out! The McKinney Farmers Market is next on our list because not only does it offer an impressive selection of fresh produce, meat, bread and other specialty foods, but it’s also ideally located in Chestnut Square, a historic museum village featuring properties dating as far back as the 1800s. Peruse the many local vendors and then check out the old buildings, including a wedding chapel, a kitchen where cooking demos are performed, a blacksmith and more. Arts and crafts lovers will enjoy the wide selection of vendors offering beautiful, handcrafted treasures. Stop by to shop, enjoy some live music, watch a few demonstrations and learn more about Dallas’ rich history. Recently, White Rock Market officially merged and became part of Lakeside Market. Both of these markets feature farmers and artisans offering quality arts and crafts, fresh local fruits, vegetables, meats, cheese and specialty foods made from locally sourced ingredients. If you’re nearby the Douglas Ave. area, check out the Saint Michaels Farmers market. This weekly event is host to dozens of quality vendors selling everything from produce and local herbs to sauces, baked goods, handmade candies and much more. Stock up on all the essentials while also supporting local farmers and artisans in the community at the same time. Oh, and if it happens to be raining, don’t sweat it. This market is open rain or shine. How sweet is that? If there’s one thing about Dallas, it’s that so many of us live in high-rise apartment buildings. Yet the atmosphere and weather outside is so ridiculously gorgeous (well, most of the time anyway). This is why we totally dig the fact that a few years ago two members of the Oak Lawn United Methodist Church decided to organize a farmers market as a way to get people out of their buildings and into the gorgeous sunshine. Thanks to them, Dallasites have yet another stellar place to go whenever we feel like getting some fresh air, meeting up with other cool people and buying some [insert name of favorite produce here]. Word. The Coppell Farmers Market has been around since 2003, and it just seems to get better every year. Most recently, the organizers added a pavilion, which is perfect for perusing all the local tastes and treasures. The vendors are carefully vetted so you know you’ll get good quality items when you shop, with a selection that runs the gambit from the old staple of local produce and organic baked goods to jerky, seafood and even empanadas. There are also plenty of non-edible products to choose from as well. Super easy to get to, lots of fun to explore. Check it out! One of the nicest things about the Denton Community Market is that it’s not all the same-old-same-old. The more you visit the various markets around the city, the more frequently you’ll encounter many of the same vendors and lots of similar products. But the Denton market offers plenty of surprises, which is a nice change. For instance, in addition to the old stand-by produce, arts and crafts and baked goods, you’ll also find things like soy-free chicken, pet products, fresh-made pasta and even acupuncture. It may be cliché, but trust us when we say there truly is something for everyone here. So, there you have it. Your own handy list of all the local farmers markets in the Dallas area. Which one’s the best? Well, now, that’s not for us to say. Actually, they’re all pretty awesome. Your best bet is to get out there, check them all out and decide for yourself. Oh, and make sure you come back here and share what you thought. 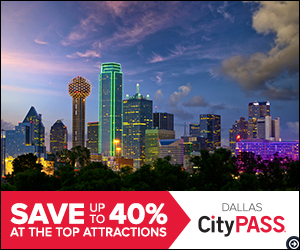 After all, this site is all about connecting and exploring Dallas together. Enjoy! *Disclaimer: we’d just like to mention that all of the details listed above, such as days and times each market is scheduled to be open, are based on the information known at the time this resource was created. Please keep in mind that some of these markets may have different off-season or specialty holiday hours. Before you head out to visit any of them, we recommend taking a few seconds to check the websites (links to each are included above).